Timothy Wientzen is an Assistant Professor of English at Skidmore College. He is currently completing a book entitled Automatic: Literary Modernism and the Politics of Reflex. As the critical scale of modernism has shifted away from nation and toward the world system, critical possibilities have been both opened and foreclosed. 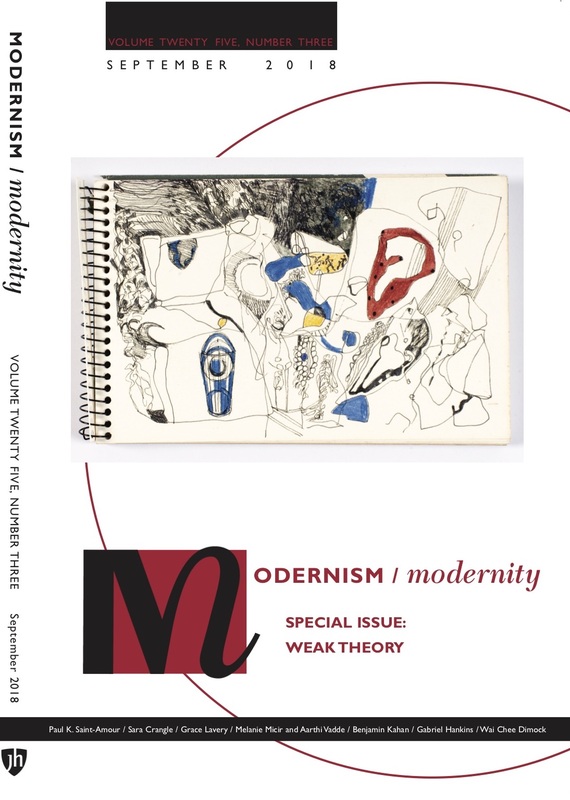 The essays in this cluster—including Aarthi Vadde’s argument about the definitional scalability of modernism, Nicole Rizzuto’s examination of maritime fiction’s relationship to surface reading, and Bashir Abu-Manneh’s emphasis on global realism—all point to the ongoing critical possibilities that emerge from the successes and failures of the “global” as a paradigm. For me, these debates represent a crucial point of inquiry for scholars at a moment in world history in which global capital flows determine so much of our lives. But there is another aspect to the relationship between modernism and the systems of capitalist modernity that turns on “planetary” rather than “global” concerns.